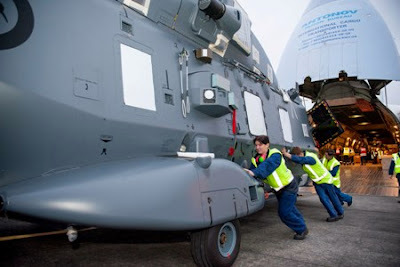 Two new NH90 helicopters were delivered to RNZAF Base Ohakea on an Antonov freighter, Saturday 20 July 2013. The NH90 is an advanced medium utility helicopter, capable of undertaking a wide variety of roles in New Zealand and overseas. The RNZAF is introducing eight NH90 helicopters to replace the Iroquois fleet; four have been delivered, two more arrived in July 2013—but have yet to be formally handed over by the manufacturer—and the final two are expected in 2014. The NH90 is a product of more than 10 years of development and testing to meet stringent capability and low maintenance requirements. 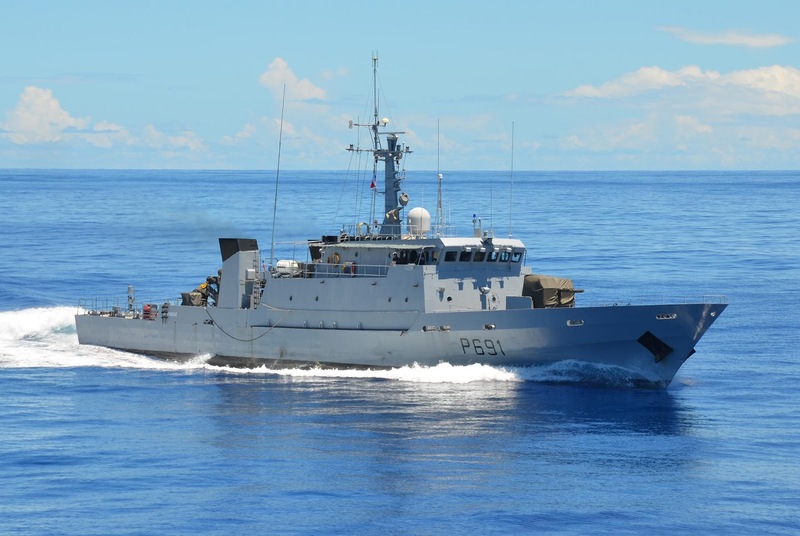 MANILA, Philippines - Despite having acquired two second-hand warships from the United States, the Philippine Navy is still keen on purchasing brand new frigates. 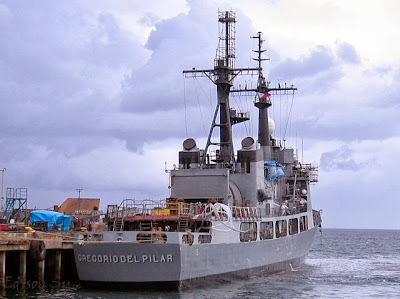 Philippine Navy flag officer-in-charge Vice Admiral Jose Luis Alano said the new acquisitions are still part of the Armed Forces of the Philippines' bid for modernization. "(The frigates are still) part of the modernization program. (We are) now in the process of coming up with the final documents for the bidding," Alano said. He added that five countries have so far expressed interest in joining the bidding namely the US, Israel, Croatia, Australia and South Korea. DND bought two Hamilton-class cutters BRP Gregorio del Pilar (PF-15) and BRP Ramon Alcaraz (PF-16) the past year. While the Del Pilar has started its service under the Navy, the Alcaraz is set to arrive in Philippines on August 3 and will be commissioned by September. Alano, however, said that once the bidding process has concluded, the Department of National Defense will determine the start of the new frigate project seen to boost maritime security. 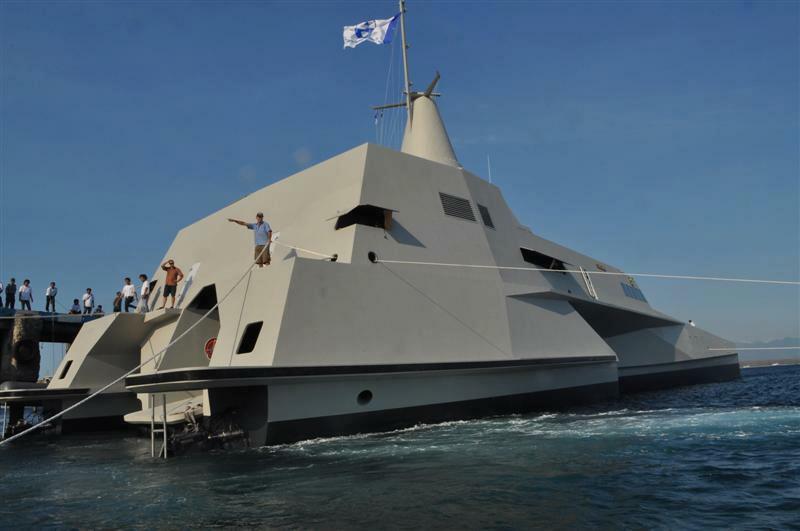 DND had announced that the upcoming new warships will cost the government P18 billion, higher than the earlier P11-billion budget. President Benigno Aquino III said in his fourth State of the Nation Address the primary necessities in education, health and jobs creation will be the administration's priority. However, Aquino assured the troops that the plans to beef up the armed services will continue. "To those who have doubts, let me stress that we will continue to strengthen the armed forces through honest and reasonable means. And I myself will do this as soon as possible," he said. MANILA, Philippines - The Philippine Army, looking to modernize its equipment to boost territorial defense, on Tuesday got a glimpse of the wares showcased by four defense suppliers accredited by the Israel Defense Industries (IDI). The four firms conducted product demonstrations in Fort Bonifacio in Taguig City to “enable the Philippine Army to determine the advance technology with regard to military equipment that will address the requirements in the field,” Army spokesman Lt. Col. Randolph Cabangbang said. The firms include Israel Military Industries (IMI), ELBIT System Ltd., Israel Aerospace Industries, and Rafael Advanced Defense Systems Ltd. Their representatives gave the Philippine Army’s Technical Assessment Teams a sneak peek into their products. Army chief Lt. Gen. Noel Coballes was among the military and defense officials led by Patrick Velez, Assistant Secretary for Acquisition, Installations and Logistics (OASAIL), in going over prospective defense products for the Armed Forces of the Philippines (AFP) to buy under its modernization program. Among the products the Army is looking to purchase are surface-to-air missiles (SAMs) and multiple launch rocket system (MLRS); Unmanned Aerial Vehicle (UAV), Night Fighting Systems; and Command, Control, Communication, and Intelligence equipment. Also on its shopping list are units of 155mm Computerized Autonomous Truck Mounted System, a modern version of the manually-operated 155mm howitzer. Meanwhile, the Air Force is considering the purchase of missile systems from Israel for the FA50 lead-in trainer jets that the country plans to buy, with a budget P18.9 billion, from the supplier Korean Aerospace Industries (KAI) of South Korea. Cabangbang said Coballes invited the IDI to afford the Technical Assessment Teams a deeper appreciation and knowledge of the defense equipment, and thus boost their market research and analysis; and familiarize them with new technology and platforms regarding military hardware. Cambodia has received the first two of a fleet of new Z-9 multirole helicopters purchased from China, with the remaining 10 aircraft to be delivered in mid-August. 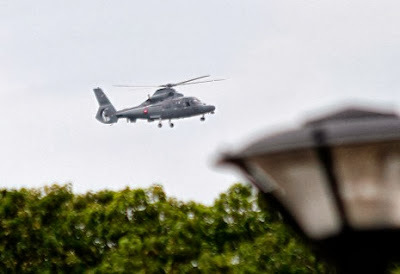 Initial test flights of the new helicopters, a license-built version of the Eurocopter AS365 Dauphin manufactured by the Harbin Aircraft Manufacturing Corporation, were undertaken by Cambodian personnel on 19 July outside Phnom Penh, Cambodian Defence Minister Tea Banh was quoted in local press reports as saying. "They can and will be used for many purposes such as carrying out rescue operations and transporting different materials and so on," the minister said. 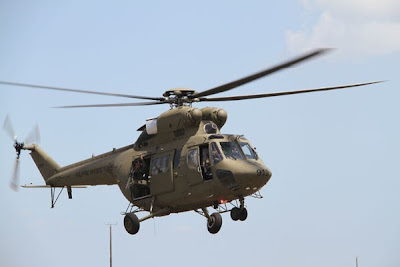 Chinese media sources have indicated that in addition to six Z-9B utility versions of the helicopter, the new fleet, which will replace Cambodia's ageing inventory of Soviet-era Mil Mi-8s and Mi-17s, will also include four armed Z-9Ws and two aircraft dedicated for VIP transport. CANBERRA, Australia, – Lockheed Martin [NYSE: LMT] will team with four leading air traffic management (ATM) technology providers to offer its Skyline Enterprise ™ solution for the Airservices Australia and Australian Department of Defence oneSKY AUSTRALIA procurement. Together, the team’s capabilities offer an enhanced air transportation network for all Australians. The teammates joining Lockheed Martin Australia Pty Ltd on its oneSKY AUSTRALIA solution include Australian-based partners Adacel Technologies Limited; Daronmont Technologies; and Frequentis Australasia Pty Ltd. In addition, Airbus ProSky with subsidiary, Metron Aviation, will join the team. Skyline Enterprise, one of the world’s most advanced ATM solutions, will feature capabilities that include Adacel Technologies’ flight path conflict detection tool and Frequentis Australasia’s voice communications and integrated tower products. Daronmont Technologies, a small-medium enterprise will provide extensive experience in engineering and deployment of complex systems to the Department of Defence. Metron Aviation is the current provider of Australia’s advanced air traffic flow management (ATFM) system, and their knowledge and skills will ensure the solution optimises airspace and airport resources. Combined, the team’s solution will provide Australians with more on-time departures and arrivals, improving their air travel experience. Additional benefits of the Skyline Enterprise solution include more efficient gate-to-gate ATFM; harmonised civil-military operations that ensure defence readiness; and more secure skies through advanced airspace management and flight path monitoring capabilities. JAMBI – Rencana pembangunan Pelabuhan Ujung Jabung sepertinya akan memiliki dampak yang luas. Tidak hanya untuk kemajuan ekonomi Jambi, namun pembangunan Pelabuhan Ujung Jabung juga akan meningkatkan situasi keamanan di wilayah Jambi. Pasalnya, Jambi ditargetkan akan memiliki Pangkalan Angkatan Laut (Lanal). Gubernur Jambi, Hasan Basri Agus (HBA), mengatakan terkait rencana pembangunan Lanal tersebut dirinya telah bertemu dengan Panglima Komando Armada RI Wilayah Barat (Pangarmabar), Laksamana Muda (Laksda) TNI Arief Rudianto. Dikatakan HBA, Pangarmabar menyetujui usulan tersebut, dan merencanakan kunjungan kerja ke wilayah Jambi. “Beberapa hari lalu saya kunjungi Panglima Armabar, kita menawarkan kenapa tidak bangun Lanal di Jambi. Apalagi dari kawasan Ujung Jabung akan kelihatan kapal lalu-lalang di Laut China Selatan. Rupanya, panglima sudah tahu akan hal itu. Makanya beliau langsung respon," kata HBA. Sebagai tindak lanjut, kata HBA, Pangarmabar akan segera melakukan studi kelayakan dan survei lapangan. Jika tidak ada halangan, panglima beserta jajarannya akan berkunjung ke Jambi pada tanggal 21-23 Juli ini. “Beliau akan ke Jambi dengan menggunakan kapal perang. Nanti beliau akan keliling Sabak bersama saya. Nanti teman-teman wartawan juga ikut. Rombongan juga akan bawa pesawat intai," beber HBA. Bukti keseriusan atas rencana pembangunan Lanal tersebut, HBA mengatakan Pemprov Jambi bersedia menyediakan lahan yang dibutuhkan. "Saya sempat tanya berapa butuh tanah, 100 hektar kita siapkan," tegasnya. Jakarta, Menteri Pertahanan RI Purnomo Yusgiantoro, Selasa (23/7) menerima kunjungan Duta Besar Rusia untuk Indonesia, Mikhail Y. Galuzin, di Kementerian Pertahanan, Jakarta. Adapun maksud kunjungan Dubes Rusia kepada Menhan ini adalah untuk membicarakan beberapa hal yang menyangkut kerjasama teknik militer antara kedua negara. Diantaranya adalah kerjasama Angkatan Laut kedua negara dalam hal penyediaan material dan renovasi untuk Kapal Selam. 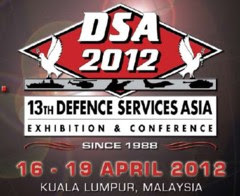 Selain itu Dubes Rusia pada kesempatan tersebut juga menyampaikan bahwa pemerintahnya akan mengadakan pameran senjata “Rusian Arms Expo” yang diselenggarakan pada akhir bulan September mendatang di salah satu kota disebelah timur Moskow di Rusia. Dubes Rusia juga mengatakan bahwa pameran yang diselenggarakan saat ini merupakan pameran terbesar yang akan menampilkan persenjataan militer khususnya untuk Angkatan Darat. Dubes Rusia berharap Menhan dapat menghadiri pameran persenjataan militer tersebut. Today in Perth, Indonesian Defence Minister Purnomo and I witnessed the signing of a Memorandum of Sale between Australia and Indonesia for five C 130H aircraft and associated equipment. During my visit to Jakarta in April this year, I confirmed that the Australian Government was willing to sell five C-130H aircraft, along with a simulator and spare parts, to Indonesia at a discounted rate. This offer was in addition to the four C-130H aircraft that Australia is currently in the process of transferring to Indonesia following discussions between our respective leaders in November 2011. The sale of a further five C-130H transport aircraft will further enhance Indonesia’s capacity to respond to natural disasters and humanitarian crisis. The Memorandum of Sale was signed by Australia’s Chief of the Defence Force, General Hurley, and Indonesia’s Head of Defence Facilities Agency, Rear Admiral Lubis. 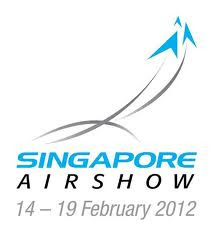 The Memorandum sets out the arrangements for the sale of the five aircraft, simulator and spare parts to Indonesia. 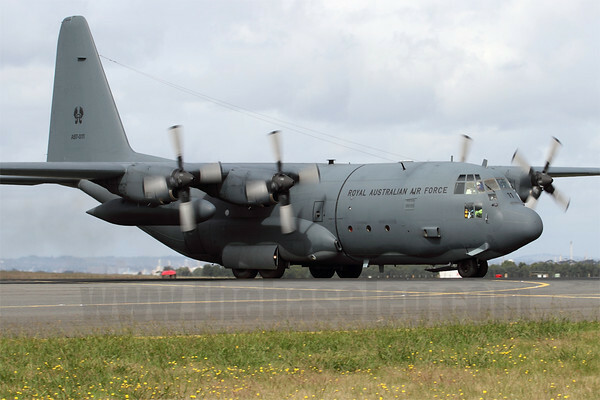 Australia is pleased to continue to assist the development of Indonesia’s airlift capability, which will support humanitarian assistance and disaster relief operations. The sale of these additional aircraft and associated equipment reflects the strength of the bilateral relationship between Australia and Indonesia, and the close ties between the Australian and Indonesian Defence forces. Korea Aerospace Industries (KAI) has published a drawing of a moderately stealthy fighter concept based on its T-50 series of supersonic trainers and light-attack aircraft. 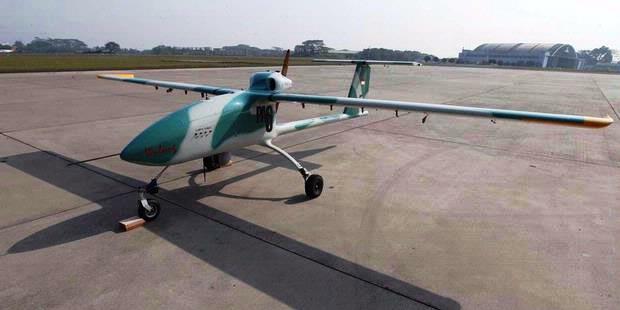 The concept aircraft is far smaller and less ambitious than the all-new, twin-engine KF-X designs promoted by the Agency for Defense Development, the leading proponent of building an indigenous South Korea fighter. 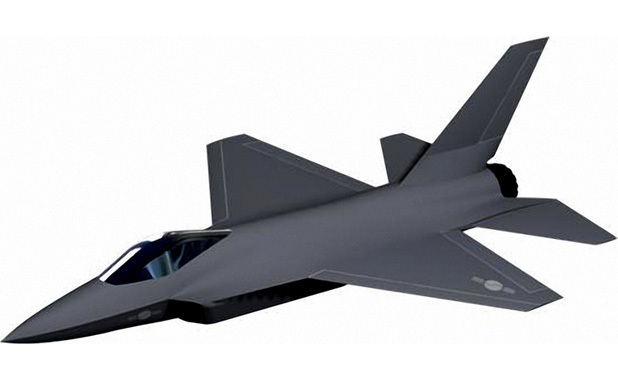 Some South Korean industry officials doubt that the country has the technical resources to build the KF-X, especially if major civil aerospace programs go ahead at the same time; a 90-seat turboprop airliner is also proposed. But a KF-X derived from a current type would demand less engineering and may benefit from stronger pricing by avoiding competition with the Lockheed Martin F-35, although Saab is already in the market for advanced but moderately sized fighters with its Gripen E/F. The T-50 and its FA-50 light fighter derivative are themselves based on the F-16 and were developed with help from Lockheed Martin, but the stealthy concept, called KF-X-E, departs from the F-16 planform used for the earlier aircraft. Some wing and fuselage edges are parallel, and the trailing edges of the main and tail planes are swept forward. The fuselage sides have chines. Nose volume of the KF-X-E appears to be small, limiting the size of the radar antenna, but the airframe seems to have more volume overall than the T-50, offering more space for internal fuel and thereby minimizing the need for external tanks and their radar reflections. Retention of the single tail on the KF-X-E is emblematic of the limited ambition of the designers, who appear to have aimed at achieving a level of stealth above that of the Eurofighter Typhoon and Boeing F/A-18E/F Super Hornet but well below that of the Lockheed Martin F-22 and F-35. The latter two, like other stealth aircraft, have canted twin tail fins. Similarly, the air inlets of the KF-X-E have boundary-layer diverters; recent stealth aircraft handle the boundary layer with aerodynamic shaping and no diverters. The KF-X-E may be too small for internal weapons stowage. No engine details are known, but South Korea may want to replace the T-50's General Electric F404, whose future application appears limited to the T-50 series, with another probably more powerful type. Candidates would include the GE F414 and Eurojet EJ200. The winner of the separate F-X Phase 3 competition for 60 fighters—Lockheed Martin, Boeing or Eurofighter—is expected to support KF-X development. Each manufacturer has proposed a design. Lockheed Martin's could conceivably be similar to but a little larger than the KF-X-E by introducing stealth features into the design of the F-16. The result would still be a fighter well-differentiated from the F-35. A key issue in developing the KF-X-E might be obtaining permission from Lockheed Martin, which presumably has intellectual property in the T-50 design or at least contractual rights to ensure that it does not become an F-16 competitor. Another obstacle is that the South Korean air force prefers twin-engine aircraft for the medium-fighter category that the KF-X would fill. KAI did not respond to a request for further information about the KF-X-E.
THREE ships which have graced Barrow’s docks for more than five years after a dispute between BAE and the Sultan of Brunei are finally set to leave. The three Nakhoda Ragam class vessels were built by BAE in Scotstoun, Glasgow, for the Royal Brunei Navy. But after they were completed in 2002, Brunei refused to accept them, despite the ships being declared fit by the Royal Navy. It is understood Brunei attempted to pull out of the deal because of operating costs and a lack of sufficiently trained personnel to operate the ships. The legal battle was finally resolved by international arbitration in 2007 – in favour of BAE – and the ships were handed over to Brunei. They were then moved to Barrow in 2007 to be stored at the docks while the German Lürssen shipyard, which had been contracted by Brunei, tried to find a buyer. Now, after more than 10 years in limbo, a deal has been struck and the vessels are set to move to the warmer climate of Indonesia – in the weather the ships were designed to operate in. Indonesia has reportedly paid just a fifth of the original £600m price tag for the three vessels. 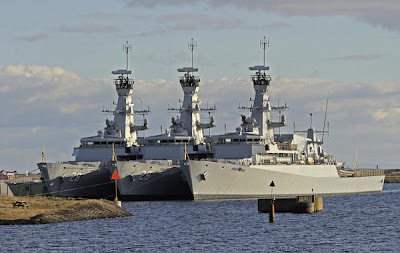 The ships are expected to enter service with the Indonesian navy within the next year. The three corvettes are being maintained by Barrow shipping company James Fisher Marine Services. As part of the deal to sell the ships, James Fisher sought to erect temporary living accommodation on nearby council land to house some of their own technical staff who have been providing safety cover on the corvettes. The application was turned down by Barrow Borough Council but following an intervention by Barrow MP, John Woodcock, and undertakings by James Fisher to address the council’s concerns, Barrow Town Hall officers will now be supporting the planning application. 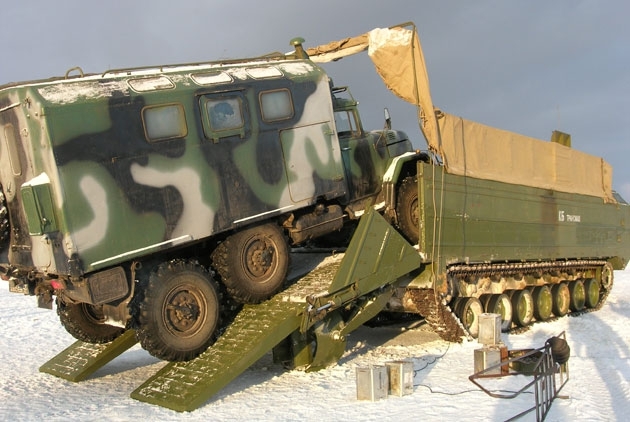 The Russian Defense Ministry is planning to include a new middle transporter PTS-4 in defense procurement in 2014, according to RIA Novosti . What is the number of machines can be purchased in the coming year and how much you plan to spend on them, is not specified. According to the agency, the military were satisfied with booking cars, as well as the presence of her anti-aircraft machine gun with remote control and ammunition at 400 rounds. PTS-4 is equipped with a multi-fuel engine producing 840 horsepower. Weight transporter is 33 tons and 12 tons of load capacity ─ on land and 18 tons of water. With such a load machine is capable of speeds up to 60 and 15 kilometers per hour, respectively. When creating a new conveyor used serial components and assemblies of existing tanks. In particular, TCP-4, and used caterpillar torsions from T-80, and the clutches and gears of the T-72. Patency conveyor land is comparable to that of T-80. The transport compartment PTS-4 can take any infantry fighting vehicles, armored personnel carriers and trucks. 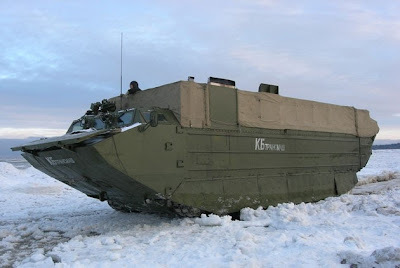 Development of PTS-4 is Design Bureau of Transport Engineering of the Corporation "Uralvagonzavod", since 2009. Earlier it was reported that the machine is fully ready for production. In 2011, the PTS-4 passed state tests. 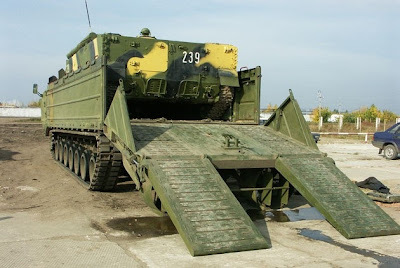 The troops will replace the outdated transporters amphibious PTS-3 created on the basis of the T-64 and TCP-2. The exact number PTS-4, planned to purchase within the state armaments program will be determined in the autumn of 2013. 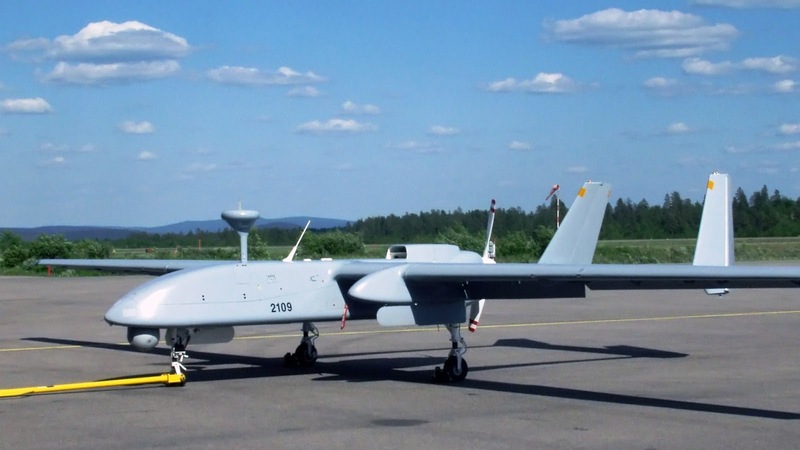 Kyiv (Interfax-Ukraine) – Ukroboronservice state-owned enterprise, a part of the state-run concern Ukroboronprom, and Vietnamese VAXUCO have signed a contract on repairs of AL-31F aircraft engines for the Vietnam People’s Air Force. 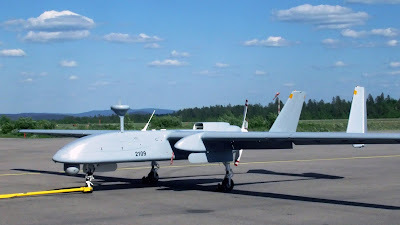 The press service of the state concern told an Interfax-Ukraine agency that, according to the contract, the Ukrainian side will repair AL-31F aircraft engines at the “Motor” Lutsk Repair Plant in Volyn region. According to a separate agreement, apart from the repairs, the Ukrainian side will also provide Vietnam with technical consulting on overhauls of AL-31F aircraft engines. The state concern did not disclose other details of the contract. 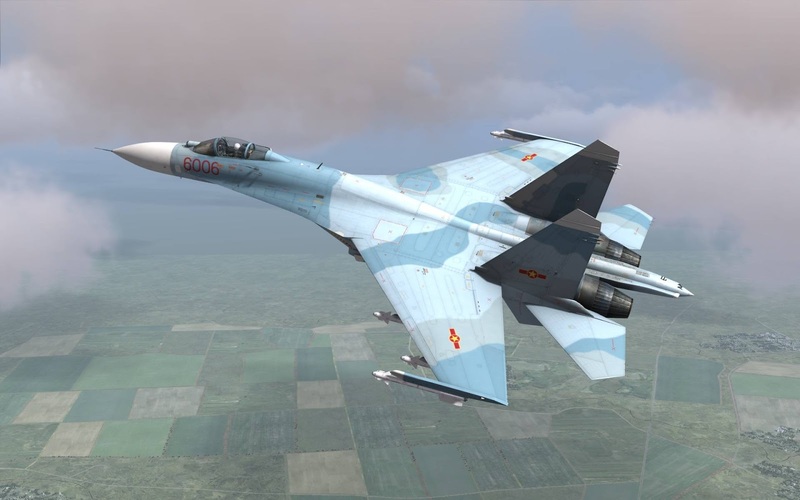 The AL-31F aircraft engines were designed for the Sukhoi Su-27 fighter aircraft and its modifications. During a meeting between Ukroboronprom Director General Serhiy Hromov and Commander of the Vietnam People’s Air Force, Colonel General Phuong Minh Hoa before the signing of the contract, the sides reaffirmed their mutual interest in further bilateral military and technical cooperation. 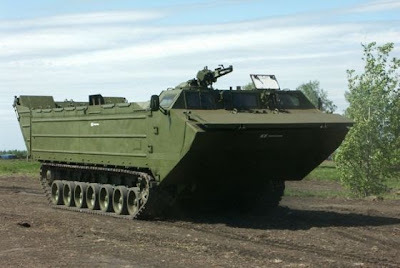 Hromov said that in the near future the Ukrainian side would send to its Vietnamese partners its proposals on the supply and modernization of air defense equipment, aircraft and armored vehicles, as well as on repairs and upgrading of naval equipment. He stressed that training of Vietnamese experts was also an important part of cooperation. “This part will be taken into account during the signing of further contracts on supplies of military equipment to Vietnam,” he said. “Vietnam is a promising country for our national defense industry products and we will continue to strengthen Ukraine’s position on the marked of this dynamically developing country,” he said. In turn, Commander of the Vietnam People’s Air Force praised the signed agreements and cooperation development prospects with Ukraine. “These agreements open prospects for new contracts on repair documentation, tooling, and facilities for the repairs of aircraft engines. Ukraine is one of Vietnam’s strategic partners in the defense sphere. We are ready to expand cooperation in the spheres of the procurement of new arms, as well as the modernization and prolongation of durability of military equipment of the Vietnam People’s Army,” he said. Ukraine and Vietnam approved a plan and a program for military and technical cooperation for 2011-2015 in September 2010 on the results of the seventh meeting of their intergovernmental coordinating commission for military and technical cooperation. 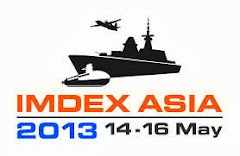 The sides have successful cooperation experience, in particular in the sphere of the modernization of a wide range of military equipment for the Vietnamese Army, the creation of an aircraft maintenance facility, and the development of a shipbuilding program for Vietnam. This order reinforces RMMV’s role as one of the world’s leading makers of military wheeled vehicles. In a hard-fought contest, Rheinmetall MAN Military Vehicles Australia overcame rival bids from top European and American competitors thanks to a compelling proposal that met the customer’s demanding specifications in every category. Following a meticulous selection process, the Australian military have thus opted for RMMV’s tried-and-tested, high-mobility, extremely robust family of vehicles. The new vehicles will replace the ADF’s current fleet, which is made up of equipment from a number of different manufacturers. These state-of-the-art RMMV systems will enhance the Australian military’s operational effectiveness and mobility as well as assuring improved crew survivability. In addition, having a uniform fleet will result in synergy effects with regard to spare parts, maintenance and training, resulting in substantially lower operating costs. Under this order, which forms part of Phase 3B of Australia’s “Land 121” modernization programme, Rheinmetall MAN Military Vehicles Australia will be supplying trucks in a number of different weight classes in various configurations. These include medium and heavyweight recovery vehicles, heavy-duty logistical vehicles, integrated load handling systems as well as medium-sized cargo bed variants with cranes, fuel and water modules and tipper bodies. The first vehicles of “Land 121” Phase 3B are to be delivered starting in 2016, with the contract due for completion in 2020. RMMV is the Rheinmetall Group’s centre of excellence for logistical and tactical wheeled vehicles. Its Australian subsidiary will be in charge of managing this major procurement project. The vehicles themselves will be built at the RMMV plant in Vienna, Austria, where the order will assure a high level of capacity utilization for several years. 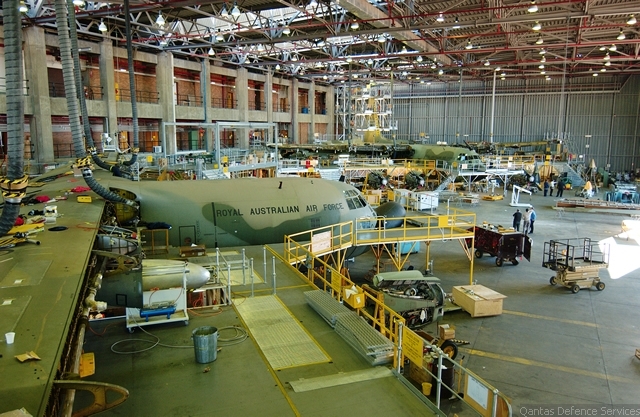 Other tasks such as production of modules and some bodies, vehicle and C4I integration will be performed at Rheinmetall MAN Military Vehicles Australia and its local partner companies. 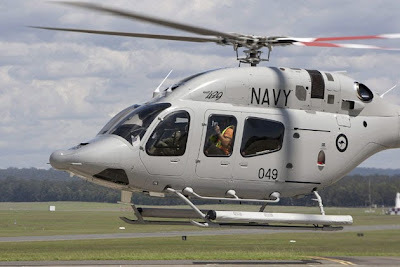 The Royal Australian Navy’s (RAN) Bell 429 helicopter has been upgraded to allow operations at an internal gross weight of 7,500lbs as part of the Retention and Motivation Initiative 2 programme (RMI 2). The capability upgrade was delivered by Raytheon Australia in cooperation with the RAN under a $26 million four-year contract. The 500lb increase in internal gross weight will allow the Bell 429 to fly further and for longer while carrying more people, and each aircraft can now execute substantially more tasks in a single mission. 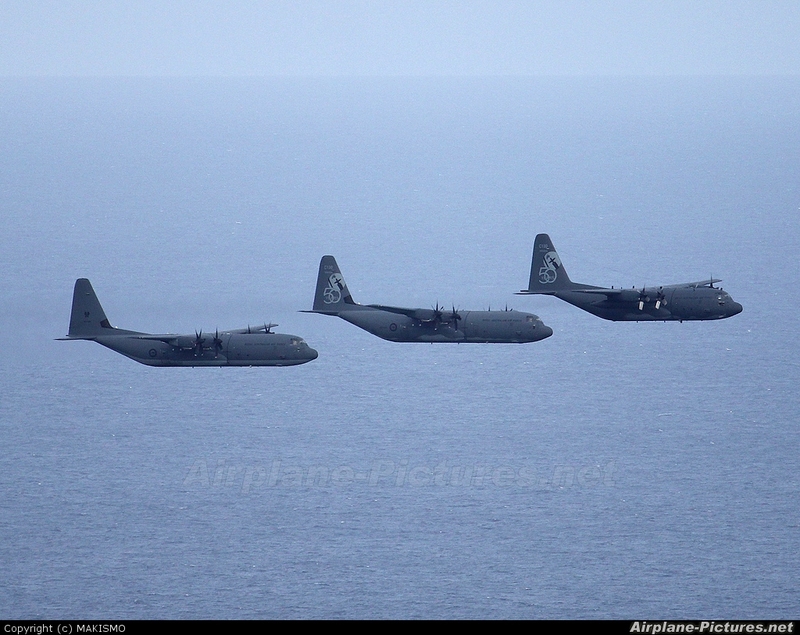 During conversion training, the endurance level for a sortie with a crew of four has increased by 35 per cent. Operationally, the radius of action has grown by 100 per cent for some missions and the payload has increased by two people. This means that for missions where the platform could previously take four crew members, it can now carry six and still fly for 20 minutes longer. 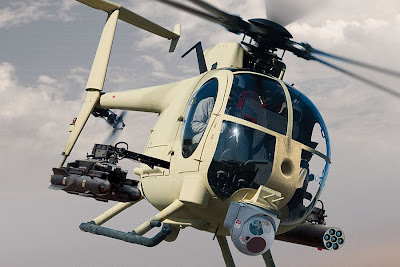 In addition to increasing mission duration, the platform’s avionics equipment has also been enhanced with the addition of a Helicopter Terrain Awareness Warning System. This makes the Bell 429 helicopter even safer and more flexible as it delivers a lower mission risk profile during flights in challenging conditions. The Bell 429 helicopters were introduced into service ahead of schedule in April 2012, under the RAN’s RMI 2 programme which enables junior qualified aircrew to consolidate and enhance their skills whilst awaiting operational flying training. ‘Together with our partner Bell Helicopter, we look forward to continuing to deliver on our commitments for the programme while exploring additional innovative capability upgrade opportunities for the platform over its lifecycle,’ Ward added. TEMPO.CO, Jakarta - Menteri Pertahanan Purnomo Yusgiantoro dan Duta Besar Australia untuk Indonesia Greg Moriarty menandatangani perjanjian hibah pesawat militer pada Jumat, 19 Juli 2013. 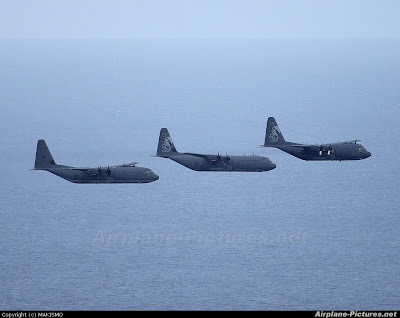 Sebanyak empat unit pesawat Hercules tipe C 130 dihibahkan oleh pemerintah Australia kepada pemerintah Indonesia. "Salah satu pesawat dengan tail number A97-006 saat ini sudah siap dikirim," ujar Purnomo seusai penandatanganan yang berlangsung di kantor Kementerian Pertahanan, Jalan Medan Merdeka Barat, Jakarta. Adapun tiga pesawat lain, masing-masing dengan tail number A97-001, A97-003, serta A97-009, masih akan dilakukan peremajaan sebelum dikirim ke Indonesia. "Ketiga pesawat tersebut setelah diperbaiki rencananya dikirim bertahap mulai Oktober 2013 hingga Desember 2014," kata Purnomo. Total biaya yang digunakan untuk perbaikan serta pengiriman sebesar AUS$ 63 juta. Biaya tersebut merupakan harga kontrak antara Kementerian Pertahanan dan kontraktor pemeliharaan yang ditunjuk oleh pemerintah Australia, yaitu Qantas Defence Services (QDS). Penandatanganan hibah ini disambut baik oleh pemerintah Australia. "Semoga dengan penandatanganan ini hubungan bilateral kedua negara bisa terjalin lebih baik," ujar Duta Besar Indonesia untuk Australia Greg Moriarty dalam sambutannya. Terkait penunjukan QDS sebagai operator pemeliharaan, Greg mengatakan bahwa QDS merupakan salah satu perusahaan yang berpengalaman menangani pesawat Hercules tipe C-130. "QDS juga merupakan satu-satunya perusahaan yang ditunjuk oleh Royal Australia Air Force (RAAF) untuk melakukan perbaikan pesawat jenis tersebut," kata Greg. Selain pesawat hibah, kerja sama lanjutan yang akan dilakukan Indonesia dan Australia, antara lain, adalah pembicaraan pembelian pesawat Hercules tipe C-138. "Ada lima pesawat jenis tersebut, tapi masih negosiasi," kata Purnomo. Pihak Kementerian Pertahanan, kata dia, juga akan mengirimkan pilot ke Australia untuk dilatih dalam pengoperasian pesawat tersebut. TEMPO.CO, Banyuwangi - Pembuatan Kapal Republik Indonesia Klewang kedua oleh PT Lundin Industry Invest hingga kini belum jelas kapan akan dimulai. Kapal pertama yang dibuat perusahaan itu terbakar habis tahun lalu. "Saya belum tahu kapan mulai dan selesainya," kata Komandan Pangkalan TNI Angkatan Laut Banyuwangi, Letnan Kolonel (P) Edi Eka Susanto, Jumat, 19 Juli 2013. Menurut Edi, PT Lundin baru saja menyerahkan perencanaan desain dan bahan baku KRI Klewang kedua kepada Kementerian Pertahanan. Klewang kedua, kata dia, akan dibuat dengan bahan berbeda yang lebih tahan api. "Kabarnya sudah disetujui," kata dia. Pembuatan Klewang kedua ini, kata Edi, akan mendapatkan pengawasan langsung dari TNI AL. "Kita akan dampingi." Saat dikonfirmasi, Direktur PT Lundin Industry Invest, Lizza Lundin, enggan menjawab pertanyaan Tempo. "Nanti kita bicarakan, Mbak," kata Lizza dalam pesan pendek. KRI Klewang pertama terbakar pada Jumat sore, 28 September 2012 lalu. Hasil penyelidikan PT Lundin menyebutkan terbakarnya kapal tersebut disebabkan korsleting listrik saat pemasangan mesin dan instalasi listrik dari galangan ke kapal. 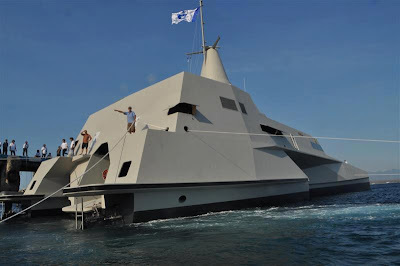 KRI Klewang 625 sebelumnya didesain sebagai kapal cepat rudal berlambung tiga (trimaran). Kapal yang dibangun dengan biaya Rp 114 miliar ini menggunakan teknologi mutakhir berbahan komposit karbon. PT Lundin mengklaim teknologi komposit karbon merupakan yang pertama di Asia. Kelebihannya, kapal lebih ringan dan irit bahan bakar sehingga bisa melesat dengan kecepatan hingga 30 knot. Perusahaan itu memulai pembuatan Klewang pada 2007 dengan melakukan riset ke sejumlah negara. Pembuatannya baru dilakukan pada 2009. Proyek ini didanai APBN 2009 hingga APBN 2011 senilai total Rp 114 miliar. Namun, sebelum Klewang dioperasikan oleh TNI AL, kapal sepanjang 63 meter itu terbakar hebat hingga ludes. TNI AL menilai insiden itu menjadi tanggung jawab PT Lundin karena belum diserahterimakan kepada TNI AL. [SUNGAI RAYA] Komandan Lanud Supadio, Pontianak, Kolonel Penerbang Ir. Novyan Samyoga mengatakan, dalam waktu dekat, sebanyak 12 unit pesawat tanpa awak akan dioperasikan untuk melakukan pengawasan di wilayah perbatasan Kalimantan Barat. 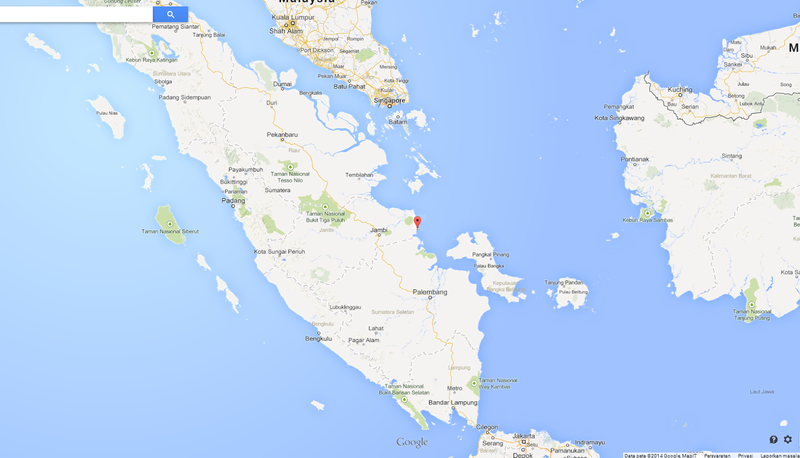 "Dalam melakukan pengawasan di wilayah perbatasan udara Indonesia-Malaysia, Pangkalan Udara Supadio Pontianak akan mengoperasikan pesawat tanpa awak. Pesawat tanpa awak itu nantinya akan mengawasi seluruh wilayah perbatasan," kata Novyan di Sungai Raya, Jumat (19/7). Dia mengatakan, rencananya pesawat tanpa awak tersebut akan awal tahun depan. Menurutnya jika menggunakan tenaga manusia untuk mengawasi perbatasan dibutuhkan ribuan orang, bahkan jika menggunakan pesawat biasa memiliki keterbatasan dari sisi bahan bakar, sehingga pengawasan di wilayah perbatasan tidak dapat maksimal. "Jika menggunakan pesawat tanpa awak bisa mutar-mutar, ambil foto dan video, baru pesawat kembali ke Lanud Supadio," tuturnya. Novyan menjelaskan, Lanud Supadio dilengkapi pesawat tanpa awak lantaran Kalbar berada di wilayah perbatasan. Pesawat tanpa awak yang digunakan ada dua jenis yaitu, jenis Wulung buatan lokal dan Heron buatan luar negeri. "Sengaja kami gabung karena pesawat tanpa awak buatan Indonesia baru di buat, sedangkan yang luar negeri sudah maju. Dengan digabungnya, nanti produksinya bisa meniru luar negeri sehingga ke depan pesawat lokal kita makin bagus," katanya. Dia menuturkan pesawat tanpa awak jenis Wulung sebanyak nantinya akan ada sebanyak delapan unit sedangkan jenis Heron yang buatan luar negeri sebanyak empat unit. Nantinya pesawat berangkat dari Lanud Supadio dan setelah mengambil gambar ke setiap kawasan perbatasan maka pesawat akan kembali ke Lanud Supadio Lagi. "Semua pesawat itu kumpul di Lanud Supadio Pontianak dan dikontrol dari Lanud Supadio oleh pilot handal TNI AU. Pesawat setelah mengawasi akan kembali lagi ke Lanud Supadio Pontianak," kata Novyan. The fact that Saab’s Gripen Fighter Weapon School will most likely be located in a foreign country is a missed opportunity for South Africa, according to Saab. Magnus Lewis-Olsson, President of Saab South Africa, told defenceWeb at the Land Forces Africa conference Pretoria yesterday the School was planned to be housed at Air Force Base Overberg in the Western Cape. However, the South African National Defence Force (SANDF) has not supported this initiative. Lewis-Olsson did not comment on why the SANDF has not agreed to host the School, and said Saab is looking elsewhere in the world. He said Saab had completed its syllabus and was ready to begin construction of the School and start training. “Other countries are interested in the School,” he said, with countries like Thailand being good potential hosts. South Africa is a great location and it would have been a win-win situation to have the School in the Western Cape, as South African pilots would have benefitted, the Saab South Africa President said, adding that if the academy had gone ahead, it would have been a great opportunity to showcase South Africa’s capabilities. In July last year Saab announced at the Farnborough Air Show that it would establish the School in South Africa, but shortly afterwards the SANDF denied the whole affair. 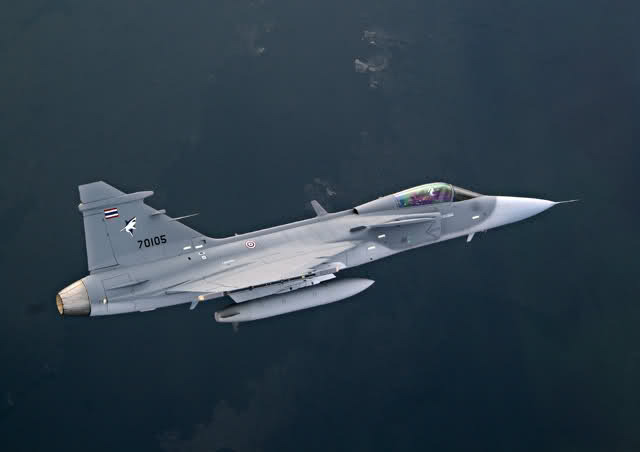 Saab had planned to run the first course with at least six students in late 2013 using between four and six South African Air Force (SAAF) Gripen C/D fighters. A 1 000 square metres building at AFB Overberg would have been dedicated to the school and would have included briefing and debriefing rooms, a lecture hall, lunchroom, locker rooms, a gym and sauna, offices and IT infrastructure. South African and Swedish Air Force instructors would have conducted the course, Saab said. JAKARTA — Pemerintah RI melalui Kementerian Pertahanan akan membeli lima unit Pesawat Hercules dari Australia untuk memperkuat sistem pertahanan udara. Menteri Pertahanan Purnomo Yusgiantoro menuturkan pemerintah akan membeli lima unit Hercules dengan harga murah. Hanya saja, Purnomo tidak menyebutkan harga yang disepakati oleh kedua pihak. Selain membeli lima unit pesawat, Pemerintah RI juga akan mendapatkan empat unit pesawat Hercules berupa hibah dari negara pimpinan Perdana Menteri Kevin Rudd itu. “Besok kami akan bertemu dengan Qantas Defence service untuk membicarakan 4 pesawat yang hibah. Selain itu, kami juga beli 5 pesawat. Harga 5 pesawar itu murah sekali,” ujar Purnomo usai menghadiri acara Buka Bersama antara Presiden Susilo Bambang Yudhoyono dengan Keluarga Besar Polri di Mabes Polri, Jakarta, Kamis (18/7/2013). Purnomo optimistis dengan kerjasama ini. Dia menyebutkan kualitas pesawat Hercules tersebut cukup baik. Di sisi lain, ujarnya, Indonesia memiliki banyak suku cadang untuk jenis pesawat Hercules. “Serinya [seri pesawat yang hhibah maupun yang dibeli] H. Kalau di-upgrade bisa buat 15 tahun,” katanya. After more than a decade of controversy, shipbuilder ASC says it has finally solved outstanding problems with the navy's six Collins submarines. Steve Ludlam, managing director of ASC, formerly the Australian Submarine Corporation, said he believed Collins' much publicised problems were now behind them. "We are getting a much higher level of availability. We are getting good reliability at sea," he told AAP. "They are very complex machines and we can't guarantee that everything will run perfectly all the time, but the principal areas of concern have now been solved." 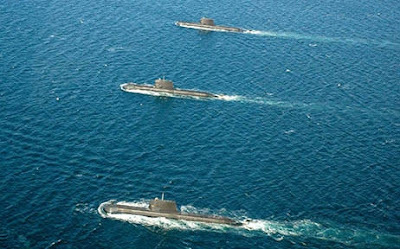 Collins submarines had a range of problems from the outset, including excessive noise and an unreliable computerised combat system, prompting an extended and costly remediation program. But reliability problems persisted with Collins' diesel-electric propulsion system. 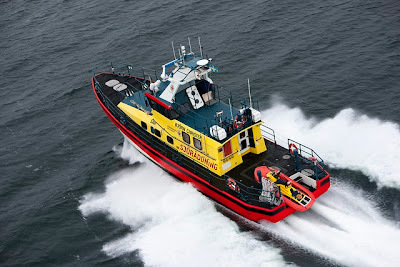 Each boat has three large diesel engines, three generators and an electric motors. Each has had problems. Mr Ludlam said they had been able to work out how to reduce diesel engine vibration and a reliable engine-start system. "Our engineer team here at ASC, who are some of the world's best, have been able to figure that through," he said. "We worked with an international diesel specialist company to make sure we were getting the right answers." "We found a method of rewinding those generators. They are much more reliable now. 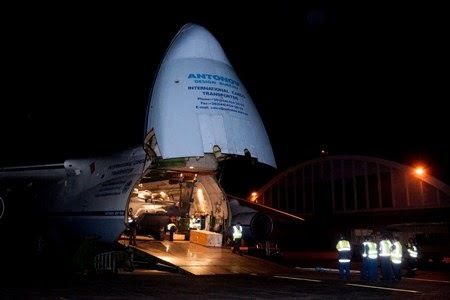 Progressively we are replacing generators on the submarines," he said. Similarly, the large electric motor experienced a particular issue where the windings had relaxed. "Working with the DSTO (Defence Science and Technology Organisation) and DMO (Defence Materiel Organisation) we have figured out to fix that and progressively we are fitting that fix to each of the submarines as they come in for various levels of maintenance," he said. 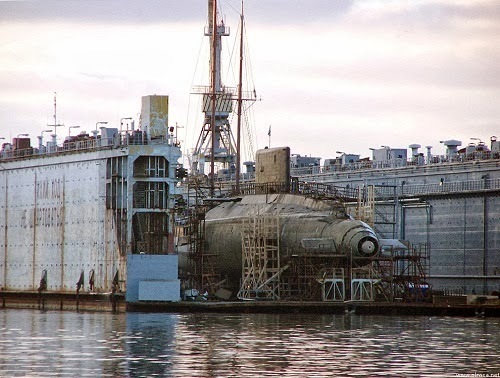 ASC is now working on two of the Collins subs. HMAS Collins, the first of the Collins boats has been undergoing full cycle docking, a regular and comprehensive refurbishment, since last August. That should run for two years. HMAS Rankin, the youngest of the Collins boats, has been out of the water for six years and mothballed for much of that time. Its full cycle docking started in 2011 and it should be back in the water next year. TNI AL Menuju Tataran "World Class Navy"